Recognized for its purity and quality, Fiji Water is one of the favorite brands of artesian bottled water in North America. Consequently, customers can’t get enough of it. There is only one problem: For some people, carrying heavy cases of bottled water from the supermarket or store to your home can be incredibly tiring and time-consuming. For that reason, Fiji has set up an efficient delivery service for its products. Simple, straightforward and convenient, this service has been turning many heads. In order to inform you about its characteristics and advantages, the present guide will go over everything there is to know about Fiji Water Delivery. Since it was founded in 1996 by Canadian businessman David Gilmour, Fiji Water has grown at a surprising rate. Without a doubt, the success experienced by the brand has a lot to do with the quality of the product. Derived, bottled and shipped from Fiji, the water that is used to make the said product is one of the best on the market. As a matter of fact, the main source for Fiji water is an artesian aquifer in Viti Levu, one of the biggest and most important regions in Fiji. With headquarters in Los Angeles, California, however, Fiji Water has made an important incursion into the North American and Global markets. In 2004, the company was acquired by Stewart and Lynda Resnick for Roll Global, a business entity that has since been renamed The Wonderful Company. Through this business move, Fiji Water continued to grow, reaching the impressive number of $85 million in sales in the year 2009. Not content with reaching this impressive milestone, Fiji Water has continued to grow at a steady pace. Today, it is one of the most well-known and respected brands of bottled water in North America. 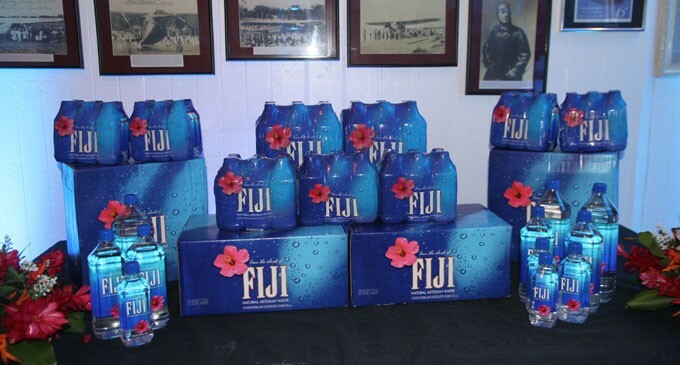 Aiming at providing a higher level of convenience for its customers, Fiji Water established a delivery service for its products. This service allows customers to get their favorite Fiji Water presentation without leaving the comfort of their homes. Once a water bottle size has been selected, customers are required to make a date for a one-time delivery. Alternatively, they can create a schedule for an ongoing subscription. This latter option may seem like a huge commitment, but it’s really not as can be canceled or skipped at any time without problems. Finally, customers are only required to wait for their order to arrive on their doorstep directly from Fiji. Amazingly, standard shipping is completely free. Currently, Fiji Water Delivery is operational in most of North America, including both the United States and Canada. As a result, there are too many locations available to mention them all in this brief article. However, up next is a list of some of the most important areas where Fiji Water is delivered. In order to be as efficient as possible, Fiji Water Delivery is a service that is available to be scheduled during weekdays, weekends and even holidays. However, it should be noted that the delivery hours of the service are between 7 AM and 11 PM. Moreover, know that on standard one-time orders, there is a 48-hour wait the service to be completed. As previously mentioned, Fiji Water Delivery is completely free of charge for any standard order regardless of its nature (on-time or ongoing subscription). As if this advantage wasn’t good enough, Fiji also offers its customers the possibility of subscribing to one of its saving plans. Consequently, by buying their favorite Fiji Water products in bulk, customers can obtain savings of up to 36%. • Gift Cards: Customers can now give Fiji as a present to their loved ones using one of the brand’s convenient gift cards. Users can later use the cards to obtain one of four products: One case, a three-month subscription, a six-month subscription or a twelve-month subscription. • Accessories: Apart from its refreshing main products, Fiji water offers its customers a variety of useful accessories, including sleeves, coasters and even cufflinks. After you order them directly from the company’s site, you can add these accessories to the package for your next delivery date. • Promotions: In order to reward its loyal clientele, Fiji Water is always creating new and advantageous promotions that can be accessed through the brand’s website. These promotions include rewards, discounts and more. Finally, after going through all the aspects of Fiji Water Delivery, the reason why it has been so successful becomes readily apparent. The service provides products of enormous quality in an incredibly convenient way, allowing customers to sit back and enjoy. Have you tried it? Let us know in the comments! Hey Buddy!, I found this information for you: "Fiji Water Delivery 101: Areas, Hours, Fees". Here is the website link: https://all2door.com/fiji-water-delivery/. Thank you.